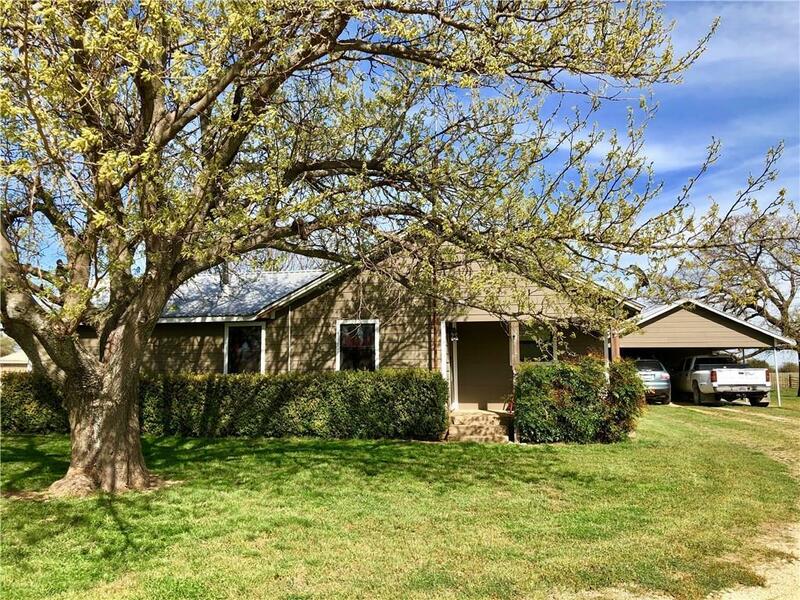 Great 3 bedroom 2 bath country home on 20 acres with hay production & paved road frontage. This home has many updates. In 2007 the kitchen was remodeled with new plumbing & propane lines. Kitchen has custom pecan cabinets with granite counter tops. In 2016, hardie board siding was installed on the exterior in addition to double pane windows. A new addition to home includes a large utility room & master bath & closet. Enjoy the shaded patio area, large oak trees, & raised garden beds for organic gardening. Several nice out buildings for livestock or hay storage. Westbound water supplies home & a well for livestock or gardens. Remainder of property is pasture with wildlife passing through. Addt'l 74 ac avail.